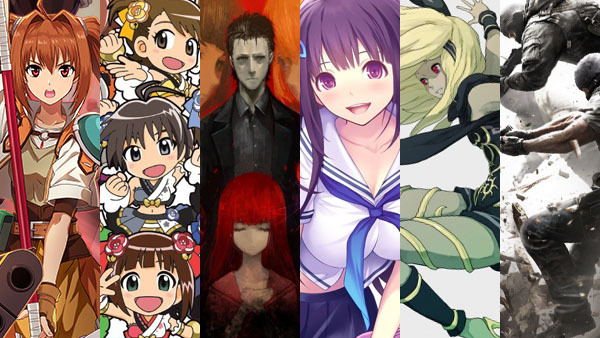 Sales for Valkyrie Drive, Steins;Gate 0, Gravity Rush, and more. Capcom’s Monster Hunter X for 3DS moved another 192,000 units in Japan this week, surpassing two million sales, the latest Media Create sales figures unveil. The highest-selling (single SKU) new release in Japan was Marvelous’ Valkyrie Drive: Bhikkhuni for PS Vita, which opened at 39,000 sales. 5pb.’s Steins;Gate 0 debuted at 39,000 sales on PS Vita, 38,000 on PlayStation 4, and 8,000 on PlayStation 3 for a total of 85,000 retail sales in its opening week. Sony’s Gravity Rush Remastered for PlayStation 4 opened at 25,000 sales. On the hardware side, every platform saw a boost, some more significant than others. 3DS hardware sold a total of 112,000 units this week compared to 103,000 last week. And PS Vita sold 35,000 units compared to the 14,000 less it sold last week.